Humboldt State University Police Chief Donn Peterson confirmed that one of his officers arrested Humboldt County Planning Commissioner Noah Levy in the early morning hours of Sunday, July 1. 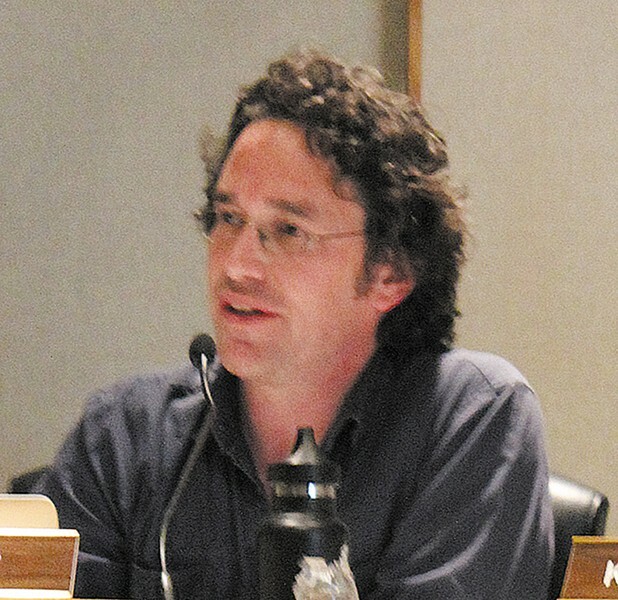 Peterson said Levy was observed by an officer on the 1000 block of G Street (close to the Arcata Plaza) and arrested on suspicion of being drunk in public, then booked into the Humboldt County jail at around 1:30 a.m.
Levy, who has served on the planning commission since 2014 and who was most recently reappointed by Supervisor Mike Wilson in January, was previously arrested on suspicion of driving under the influence in July of 2014. Peterson said the officer was out on patrol when he or she spotted Levy, but declined to discuss the circumstances of the arrest, saying that the case is now with the Humboldt County District Attorney's Office. Levy's term on the planning commission is up in 2021.